especially for complex-modulated analog signals. Figure 2. 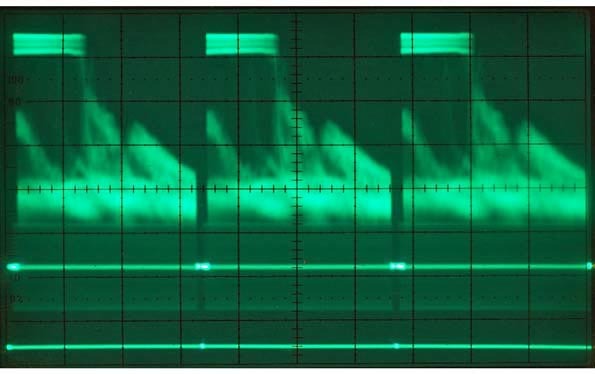 The original DSOs were not able to display trace intensity. Basically, by counting the number of hits (digital samples) in particular XY regions of a bitmap – sometimes called buckets – pixel intensity could be digitally modified to represent trace-intensity modulation of phosphor. 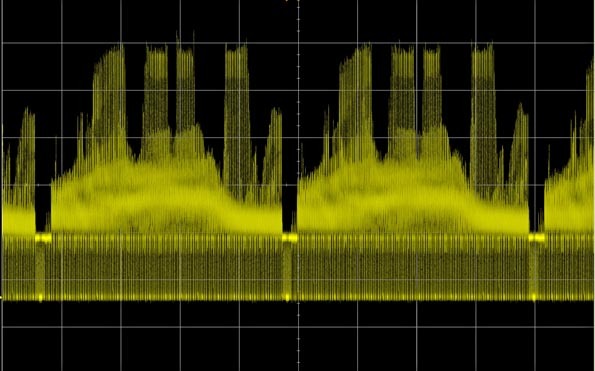 This is the genesis of the term digital phosphor oscilloscope (DPO).